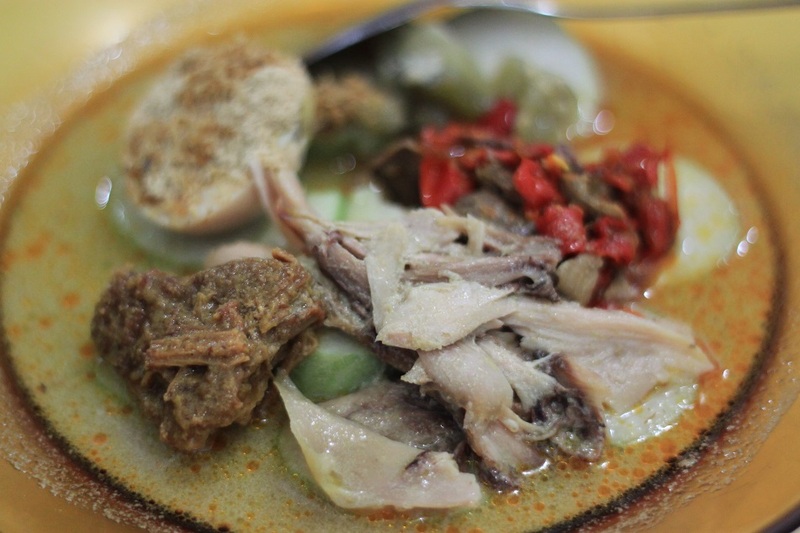 A Gastronomic Adventure in Semarang | What an Amazing World! Despite calling Semarang in Central Java home, I only spent a brief 1.5 years in the city since I was born. Life had taken me to live in three cities in South Kalimantan (Borneo) and four cities in Java. Until a few years ago, the only memories of the delicacies of the city were from my mother’s cooking and my short visits to my uncle’s house when I was still little. However, since my parents moved back to Semarang less than five years ago, I get more chance to tuck in the dishes of the city where I was born. 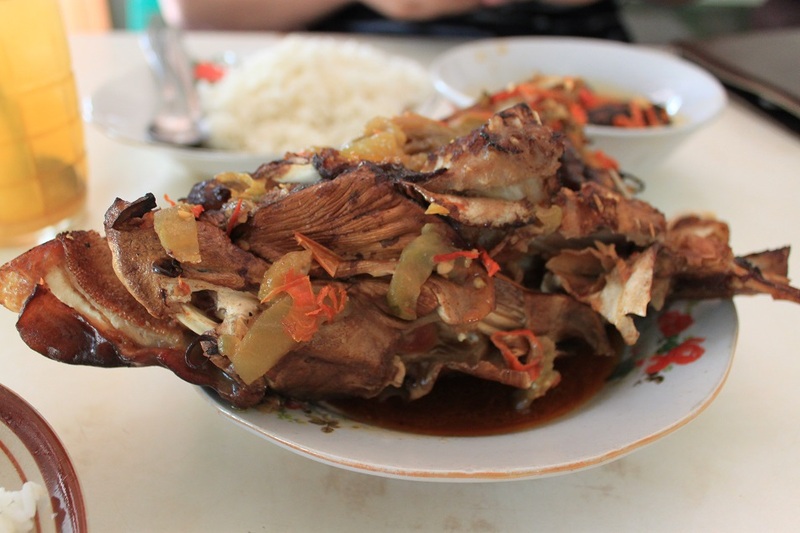 Since I started this blog, I have written two posts on the food of Semarang, in 2011 and 2012. A few weeks ago, I got the opportunity to go back to Semarang on a business trip. No visit to the city would be complete without tasting its wide array of local delicacies. 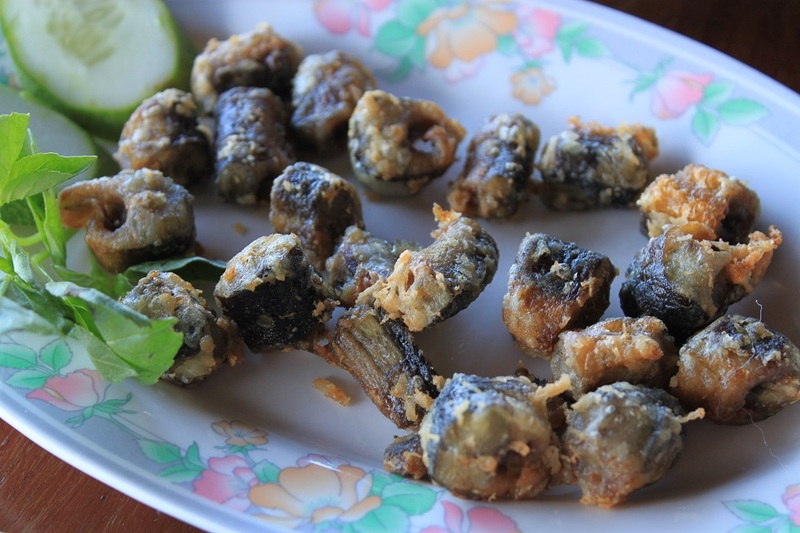 If you think a drop of Tabasco is hot enough, think twice before you try Mangut Belut – fried eels in chili and coconut milk soup. Its fiery soup will burn your tongue, and stomach. Nonetheless, that is what exactly most people are looking for when they try the dish. 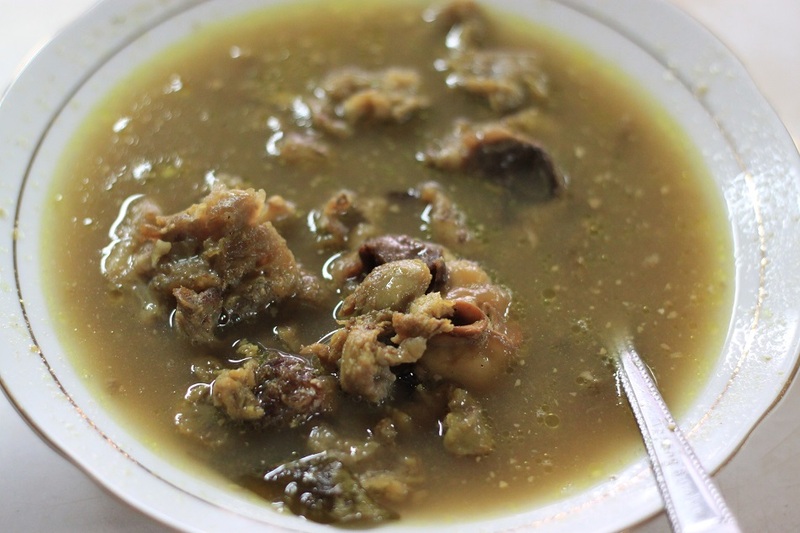 Kepala Manyung is another bizarre delicacy. The weird-looking head of the ariid catfish with its otherworldly head skull is truly a tough challenge for any chef who tries to serve it beautifully and elegantly. The skin is as chewy as a rubber tire, but the meat is tender and tasty. For milder options to balance the rich and spicy flavours of Mangut Belut and Kepala Manyung, try the Dutch-influenced Javanese beef steak, Galantine, or the ubiquitous street dish, Tahu Gimbal. A cup of Teh Poci (tea served in a clay pot) with rock sugar is always a potent antidote to any food too weird for your palate to comprehend. Amid the chaotic Simpang Lima surrounded by shopping malls and plethora of street food vendors, a big stage hosts a series of performing arts, songs and dances. 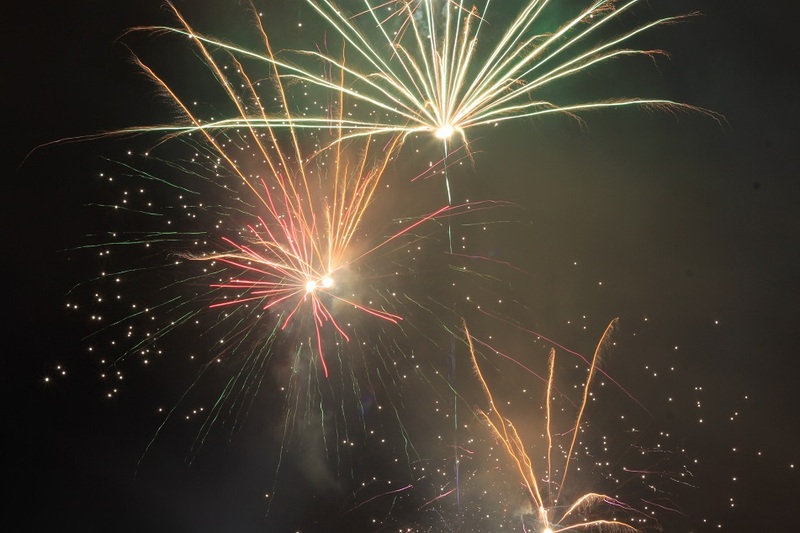 Massive loud speakers and psychedelic lighting lead up to a quite impressive show of fireworks for the finale of the night’s hype. It’s the 466th anniversary of Semarang. 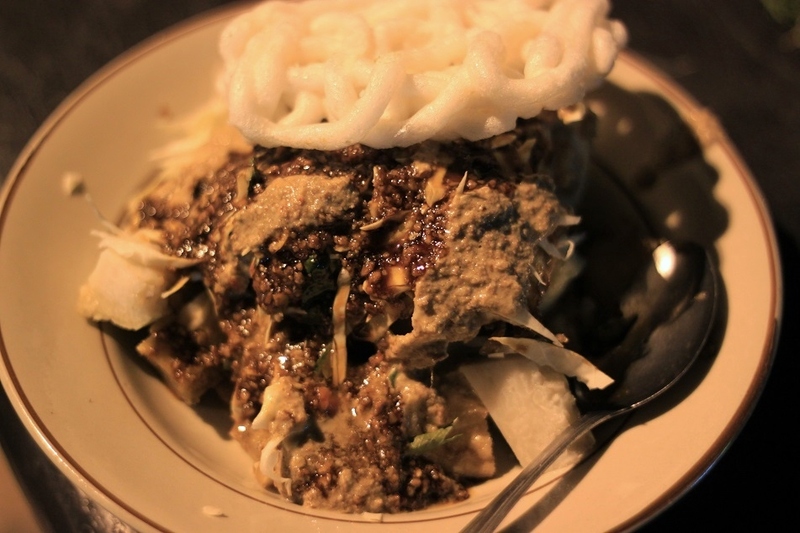 I am sitting on a plastic bench, devouring a simple serving of Tahu Gimbal with a generous amount of peanut sauce, all for less than 10,000 rupiah (roughly US$ 1). 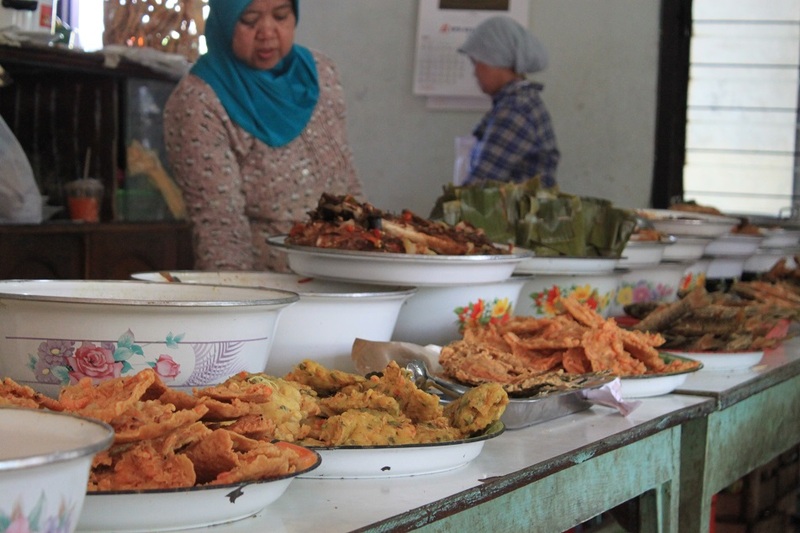 That is only a fraction of what people have to pay for the same dish in Jakarta, another factor which brings people to go to the capital of Central Java, and brings me home. eeeww I dont lie eel, but tahu gimbal, sate buntel nd tongseng looks yummy. Though I’m not a fan of eels, that photo with chilly has surely made my mouth water! Be mindful of the chili. They bite, literally! 🙂 Nevertheless, I would definitely try that again when I go back to Semarang. 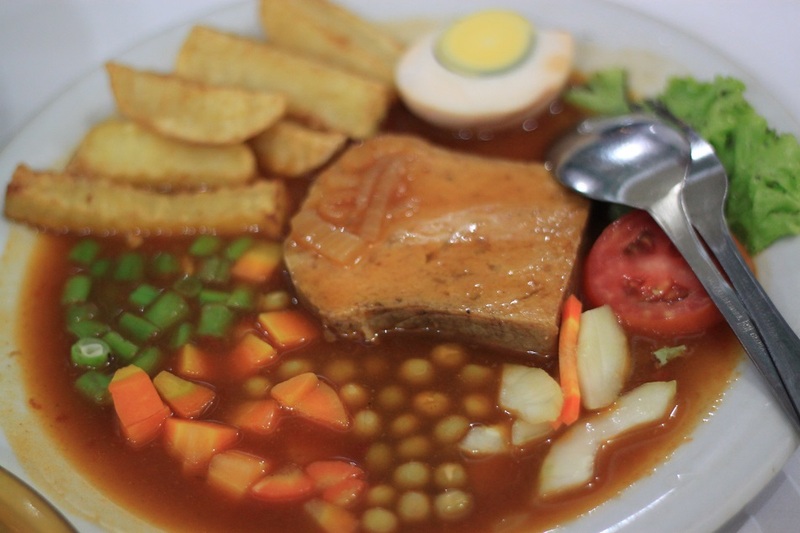 toh galantine-nya di sebelah hotel, cuma 5 langkah 🙂 dan isinya ‘istana wedhang’ enak-enak. Soal pak ‘supri’ yg nyari jalannya bikin sabar 1000 tahun, terbayar dengan meledaknya mangut belut di mulut. Uedhan pedesnya. 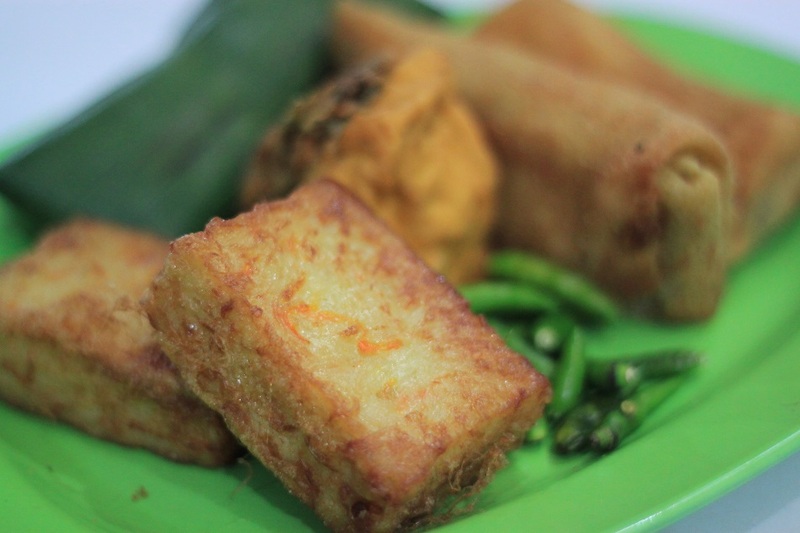 I miss puding tahu+jahe yang enak itu. Thanks for sharing your photos! It really makes me miss Asia! You’re welcome Ryan! I remember how much I missed Asian food when I was in Europe for a month back in 2007. 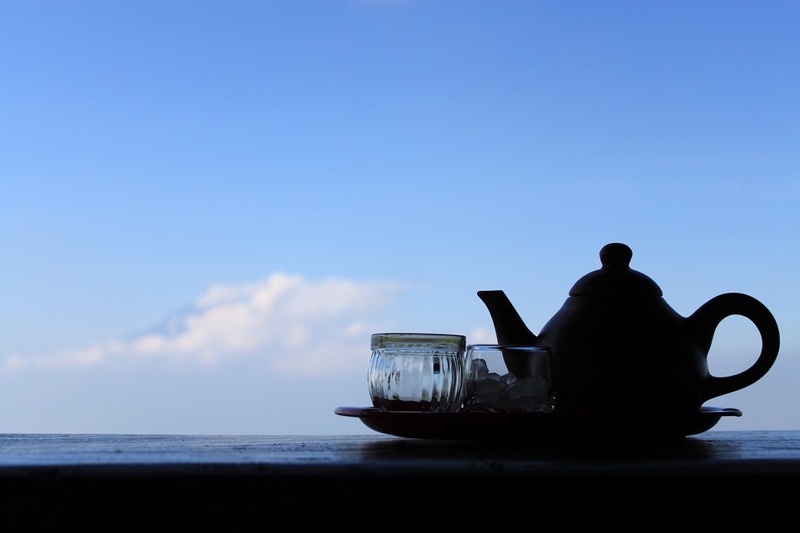 I wonder where is “four cities in Java” you’ve stayed? Haha, sorry bikin lapar malam-malam. Those cities are: Pandeglang, Tasikmalaya, Bandung, and Jakarta. belutnya bikin laper, tak kirain itu dendeng balado, rupanya belut toh. Waaa lapeeerr malem-malem, sayang disini ga ada jual belut. The food looks delicious! Pretty sure I couldnt handle the heat, though. The photo of the woman preparing the chili is beautiful. Wow, Bama — this post made me hungry! It certainly looks like you ate your way around your old home, so thanks — as always — for the culinary tour. 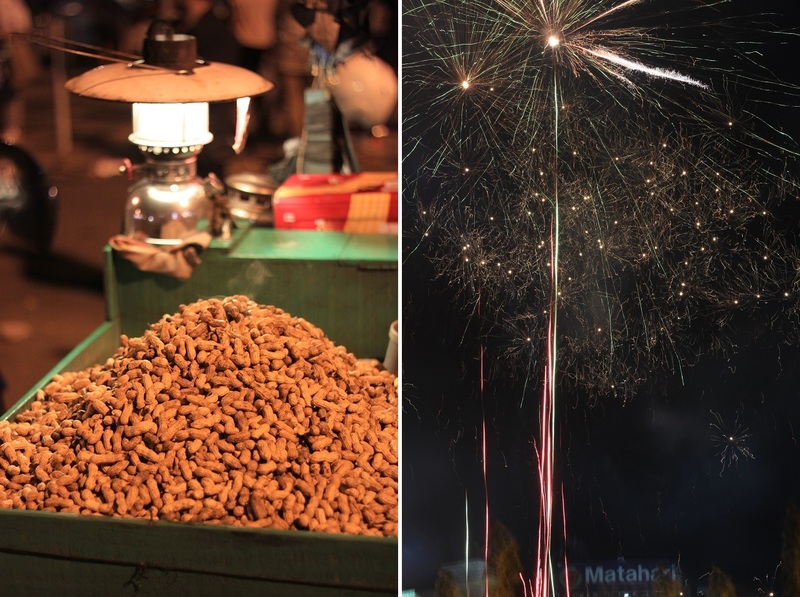 The Mangut Belut in the first photo looks particularly enticing, too! Thanks Andrew! After traveling to some more cities across Indonesia within the last few weeks, now I’ve got some more food posts in the pipeline. 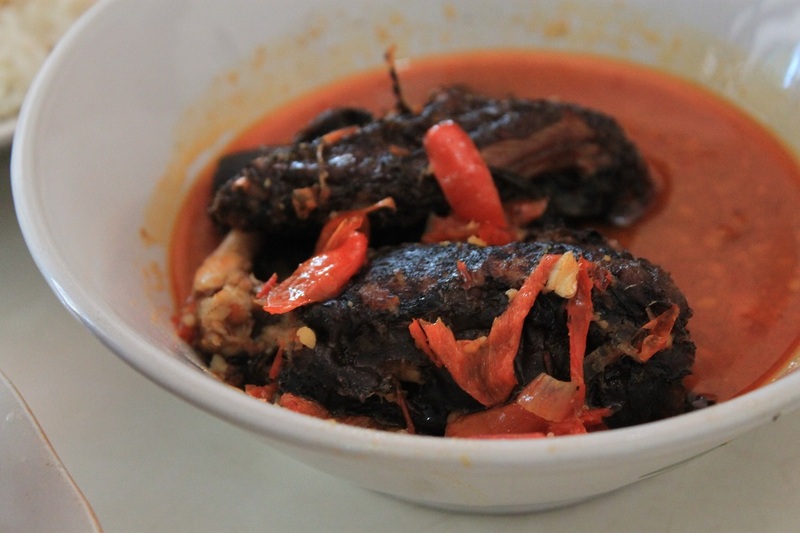 🙂 If you like spicy food, that Mangut Belut is really to die for! Hahaha, please call 024-999999. Kidding! 🙂 You should try them the next time you come to Semarang. But bear the heat, because I remember how hot and humid the place was when I went. Where’s the place? Are those all in Simpang Lima? 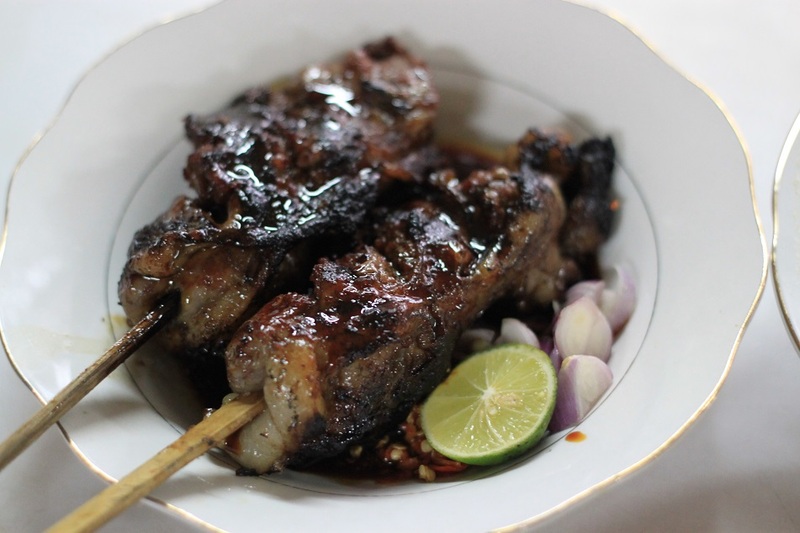 For sate buntel and tongseng, go to the restaurant across Gereja Blenduk. 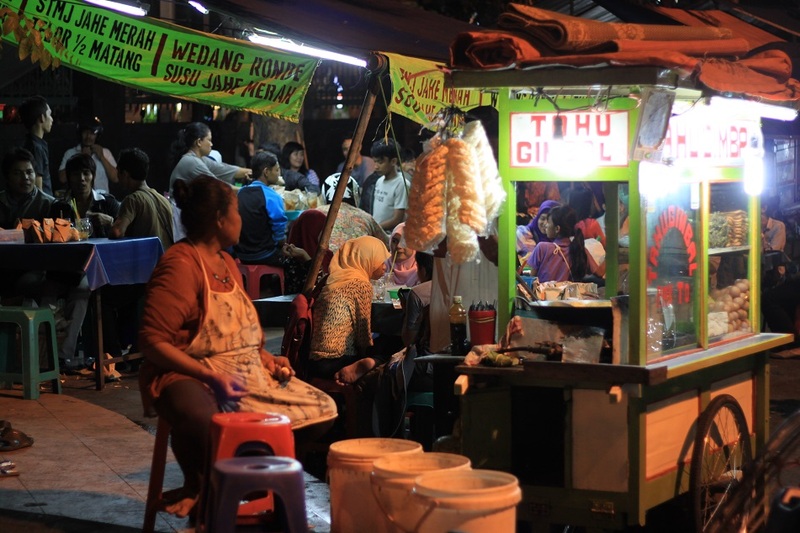 While for tahu gimbal you can go to Simpang Lima at night. 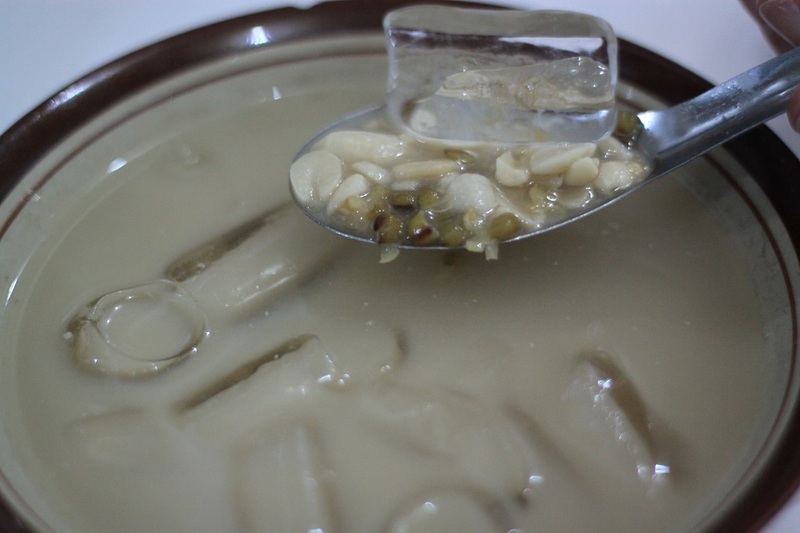 For red bean & mung bean soup, go to “Istana Wedhang” right next to Novotel at Jalan Pemuda. It all looks delicious – not sure about the eel though ! Yumm! Rindu Indo…. sudah tinggal di Eropa 8 thn. Saya mengenal alamat untuk makan traditional di Semarang yang paling lezat…. mencari adress itu aja? And it is nice to know that really she’s my aunt; from the fourth generation ago. Because i’m the great grandchild of her grandfathers younger brother. Back in those days the whole family (a family of Djati planters) still lived together in Java. My greatgrandfather moved to Europe and her grandfather became Javanese 100% After my ancestor moved away from Java he died young .. because of feeling homesick. And as his cucu i still feel that wish to return home …to Java. Oh wow! I didn’t know you have such an interesting family background. It must be amazing if you happen to visit Indonesia one day, tracing the roots of your family. Some Javanese moved to Suriname during the Dutch colonial time and now they make up about 15% of the population. I really wish you can go to Java one day Yelke! wow never thought would come across a post on semarang. my dad lived and worked there for 5 years and we all visited him often… its a really nice place. almost like a person in their own world, with no cares about anything else. or maybe as expats we felt like that! Oh, I’m drooling! I do miss this mangut dan belut goreng! Hi Rosa! The next time you come to Semarang, go to this warung mangut in Sampangan. It arguably has the best mangut belut in town. Well, actually Mangut Pe is one of my favorite dishes too. My mom often cooks it and at the office I sometimes have it for lunch. Hi Dennis! Indonesia and the Philippines are now more connected than ever. There are direct flights from Manila to Jakarta and Bali. So maybe you should start planning your trip to the country. 🙂 Thanks for dropping by! Thanks Marisol! Semarang used to be the major trading port in Java during the Dutch colonial time. Even Indonesia’s first stock exchange was established in Semarang, not Jakarta. 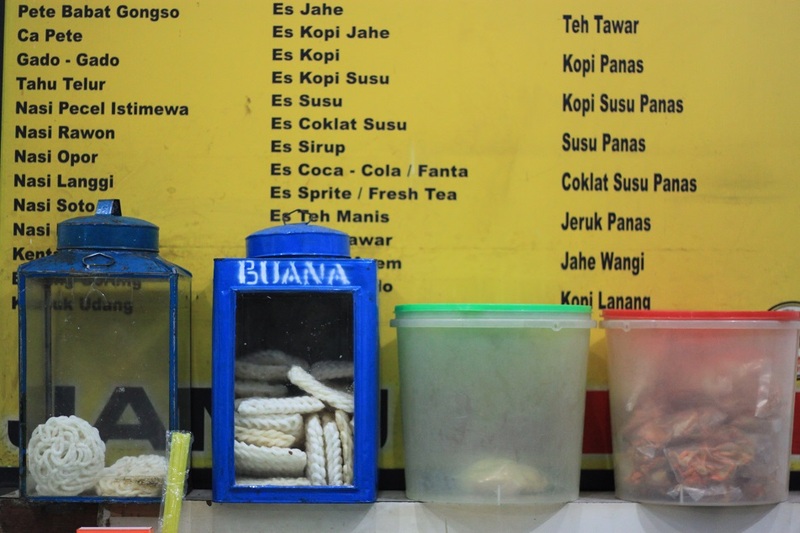 I guess that explains the diverse flavors in the dishes of Semarang – because it was such a melting pot during its heyday. The eel and Tahu Gimbal would be interesting to try—and the fish head would require a sense of humor! Once in an ESL class with students from several different countries, we had a discussion about which was hotter – 5* Mexican or 5* Thai. We went to restaurants owned by the student’s families and the Thai won, hands down! When the fish head came I couldn’t help to think “Eww, what’s this?” 🙂 But it tastes a lot better than it looks. 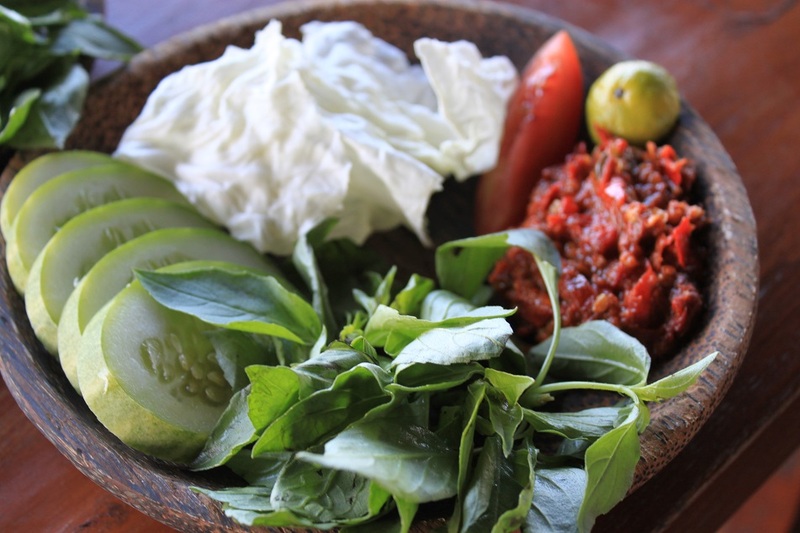 If you happen to find an Indonesian restaurant, try some of the spicy dishes – and ask the chef not to tone it down. 🙂 Thanks for your kind words Marilyn! By the way, I can see now how we ‘tortured’ our stomach within that 2 days with all those spicy food. Well, at least mine. 🙂 But it was nice though, exploring and experiencing. You’ve got me sold – I can’t wait to burn my mouth on some Mangut Belut! I was just in Bali in March, but unfortunately our time-crunched trip didn’t allow us to visit Java. I will definitely have to return in the near future and visit your hometown. 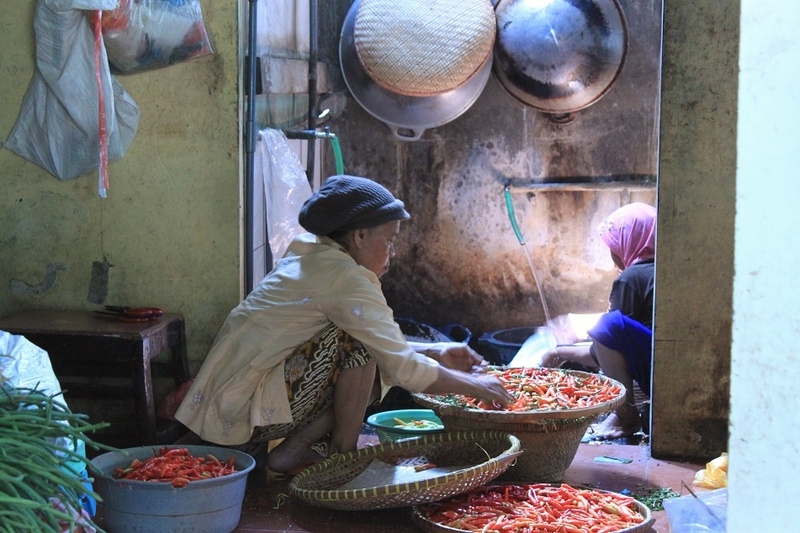 Beautiful photos, too – I especially like the one of the woman preparing chilis. This post already takes me there to try & enjoy all the great delicacies & see the people there along with great sites there too which I would think are all historic in their own way. I used to eat spicy food & learned how to enjoy tabasco sauce & also have eaten a few jalapenos hotter than most at a friend’s mother’s house who served hot chili which came from the freezer. After having it on Mexican food that was good, I had put like 4-5 spoonfuls 1 at a time on what I ate & never felt a thing. I had gone to sleep there & after about 6 hours of sleep, I had gotten up & had told my friend we needed to go to the bar or somewhere for a couple pitchers of beer. We went & she ordered the pitchers & she about flipped when I had drank most of the beer cuz I had such a hot stomach from her mom’s chili I had consumed & not thought about it until after I got up & we left for the beer hall. This just relates to going to other places & letting me not think of any problems. I always try to enjoy where I am at unless there is trouble usually. I have to deal with it at the time it starts though. Nice to have you inspire me of your whereabouts & what they are like. Thanks a lot! Wow, sounds like a rough day for your stomach! Hopefully the next time you have chili it would be a much more pleasant experience.